The release of a Jacqueline Kennedy biopic during Oscar season had me expecting some of the standard flair that usually gets poured into films such as this, and it's a storytelling style that often times bores me. Start at the beginning and move forward chronologically, portraying the critical moments of the life of someone who left an indelible mark on society, one way or another. I was prepared for a powerful lead performance from Natalie Portman, but wasn't sure if the film as a whole would be memorable beyond it. Well, silly me for doubting Chilean filmmaker Pablo Larraín whom has created a searing, brilliantly structured film in Jackie, his vision combined with Noah Oppenheim's script, Mica Levi's Oscar nominated score and the stunning photography of Stéphane Fontaine makes this picture an absolute must see, and if you experience it like I did you will likely continue to admire various shots and sequences as they run through your mind after the film has ended. When the final frame left the screen I knew I had loved what I had seen, but a couple of days later I am left wondering if perhaps my feelings are even stronger than I had initially thought. 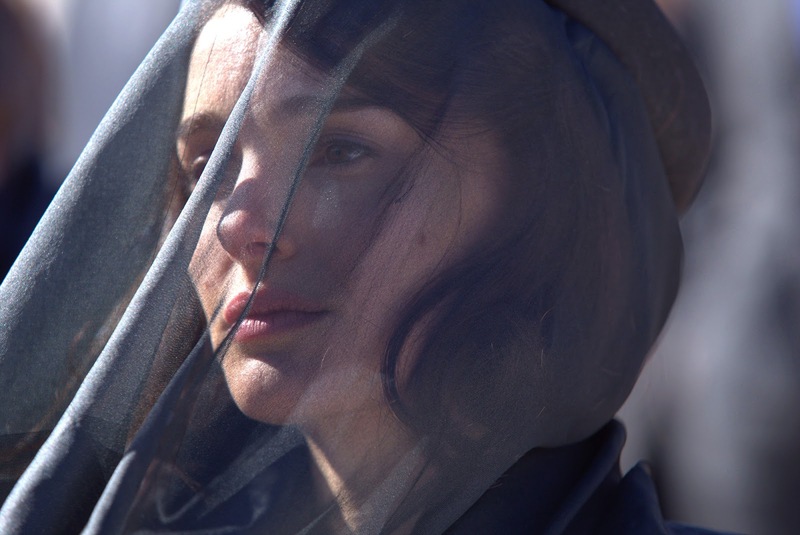 Make no mistake though, while everything needed to come together to create something as great as Jackie, this is Portman's film and she gives the performance of a lifetime, encapsulating the iconic look, speech patterns and mannerisms of the former First Lady of the United States in a way that is equal parts mesmerizing and haunting. She isn't just in the frame throughout Jackie, she often times is the frame with the camera pulled in almost uncomfortably close, focusing on her with intensity after the horrific assassination of her husband and our former President John F. Kennedy, and as we watch her wipe his blood from her face it's almost as if we can feel the trauma ourselves. Supporting players like Peter Sarsgaard, Greta Gerwig and Billy Crudup are solid throughout but at the end of the day there is a single star shining from the first scene to the last and everyone around her is doing what is necessary to elevate her work even higher. Running at a brisk 100 minutes, Jackie is alluring, painful art that I can't stop thinking about, a biopic that understands that there is a better story to be told focusing in on the most critical snapshot of a life than the fatigued tropes associated with painting the whole picture.